El Capitan rises over 8,000 feet into the west Texas sky. 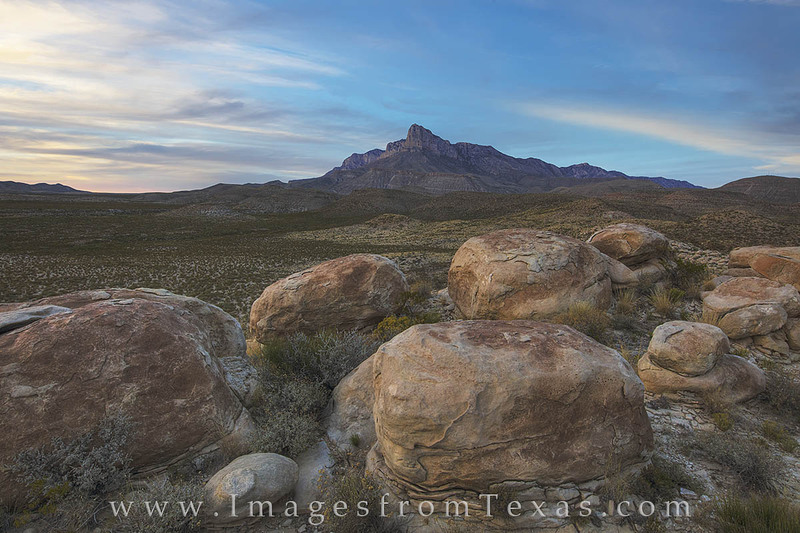 As the 8th tallest peak in the Lone Star State, this limestone mountain is the most recognizable in the Guadalupe Mountains and has served as a landmark for travelers for a thousand years. This photograph was taken on a pleasant fall evening from south of the peak. Photo © copyright by Rob Greebon.